Come out and get ya a slice of that Psychedelic Pie !! We're bringing 2 of our favorite jam centered bands The Psychedelic Monks and Custard Pie to mash them together for an etheogenic night of musical bliss !! 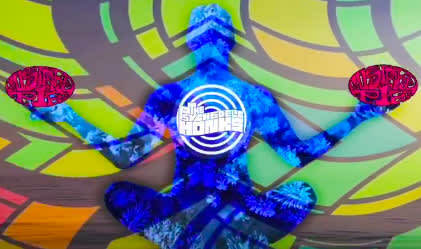 The Psychedelic Monks are a Florida funk band with a jammed out psychedelic approach. Pulling influences from funk, rock, jazz, prog, latin, reggae and all types of jam bands, The Psychedelic Monks have been known to throw full on dance parties while taking their audience on a journey through the cosmos. Focusing on their live performance, The Monks have racked up many miles playing shows from Florida to Colorado while also playing many festivals like Suwannee Hulaween, Orange Blossom Jamboree, Suwannee Splashdown, Lil Econ Love Fest and much more! Custard Pie is a Valdosta-based trio that plays psychedelic rock with elements of improv and experimentation. Influenced largely by the more eclectic artists of the past, such as Frank Zappa & Col. Bruce Hampton, or more recent progressive artists like Umphrey's McGee or Phish, Custard Pie formed and started writing in the fall of 2014. The band's first official gig was on June 24th, 2015, as the opener for Tallahassee's Yamadeo, and they have been a mainstay on the Florida music scene, playing festivals, clubs, and theaters, while providing all night jams at almost every festival they appear at, usually playing until the sun comes up. Custard Pie has been fortunate enough to have played on stage with Roosevelt Collier, Danny Hutchens (Bloodkin), Todd Smalley (Derek Trucks Band & Mofro) and Marcus Parsley (Mofro), as well as Uncle Dave Griffin, while playing The Backwoods Fam Jam, Swamptown Getdown, The Great Outdoors Jam, Hulaween and headlining The 5th Annual Creekfest Revival before finishing out 2017 at the Hometeam New Year's Rally at Maddox Ranch.